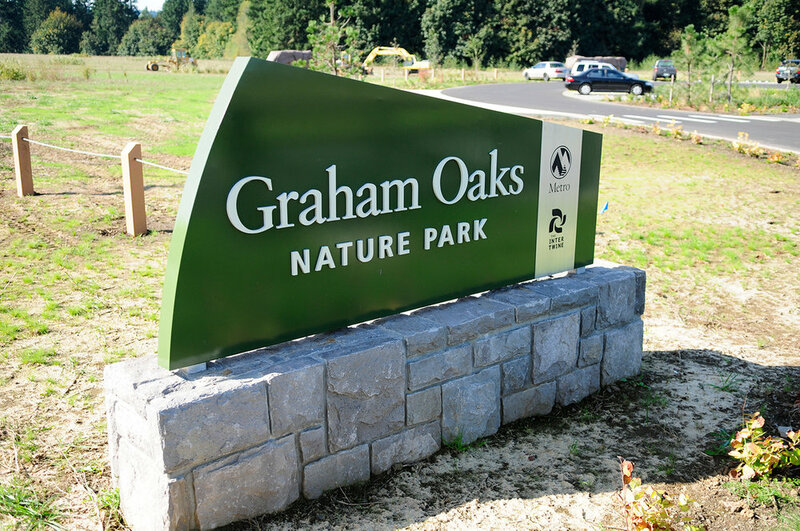 GreenWorks provided schematic design, construction documents, and construction administration for this $1.4 million, 205-acre regional park in Wilsonville. 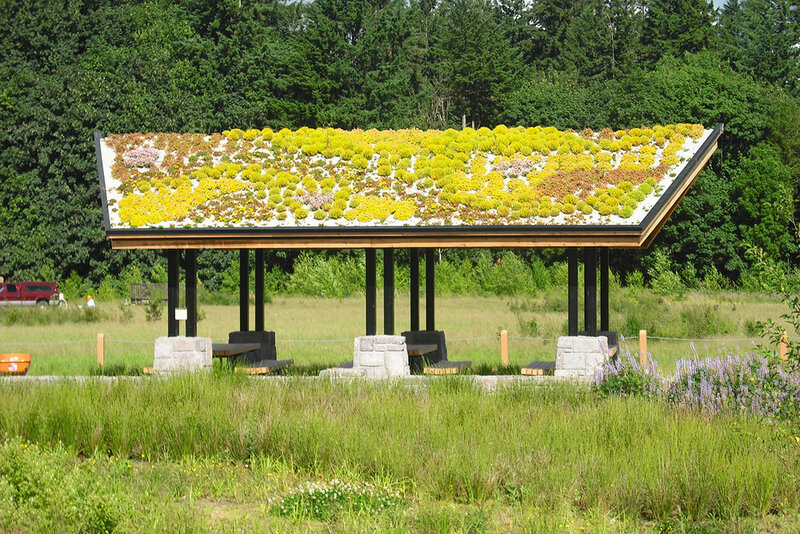 The design process engaged the City of Wilsonville, the adjacent Elementary School, and its direct neighbor–Villebois Community–to create a Nature Park that truly reflected the needs of its community while staying true to Metro’s project goals. 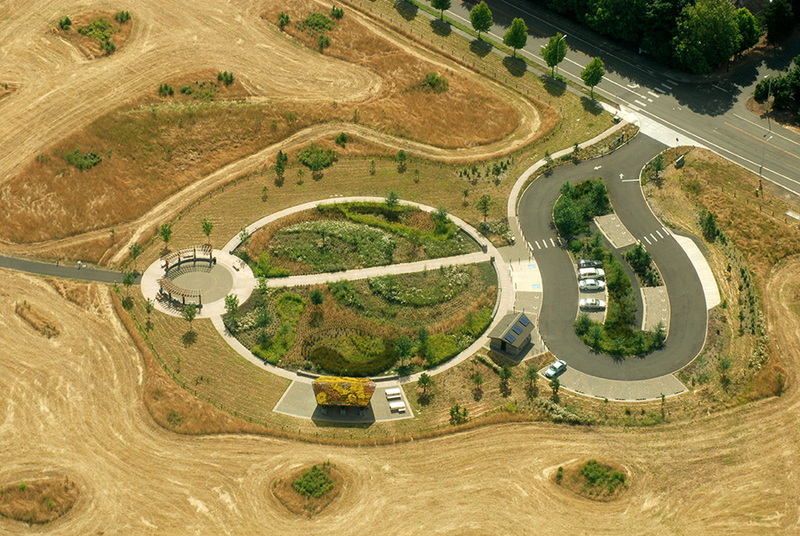 The design imparts a hierarchy of trails to facilitate access to natural areas such as restored oak savannah, woodlands, wetlands, and riparian forests. The regional Tonquin Trail provides regional access to the park, while secondary loop trails and forest hiking trails offer additional scenic, leisure routes. The integration of art was an important design element to Graham Oaks. 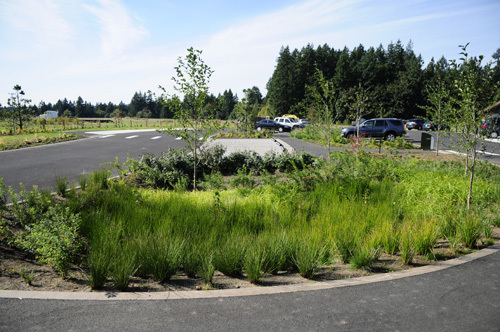 The park’s entrance is designed to provide a strong sense of place and includes numerous sustainable site features (i.e., stormwater facilities in the parking lot, a green roof picnic shelter and native plantings throughout). 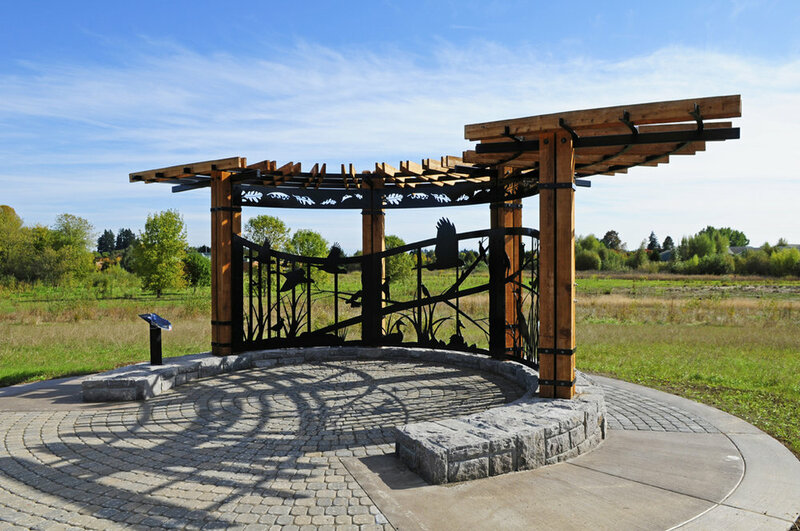 The gateway interpretive plaza introduces visitors to the wildlife and history of the area, while viewpoints, plazas, bridges, boardwalks and interpretive features throughout the site help visitors enjoy the unique attributes of the park while striking a careful balance between access and restoration. The park serves many roles as an educational tool to the neighboring Elementary School, a neighborhood Park to nearby Villebois Park and a regional destination for access to nature and recreation.